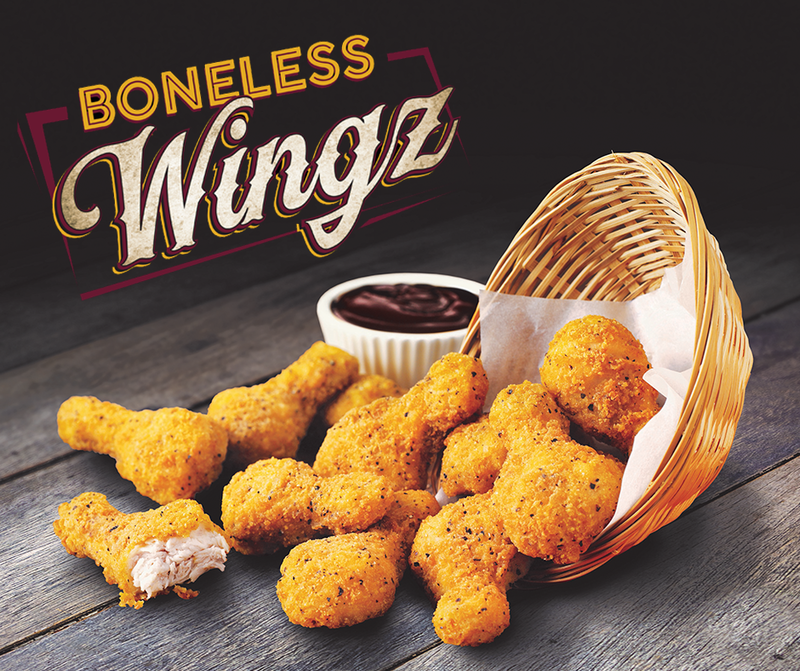 Big Al’s Boneless Wings Are Back! Did You Miss Them? 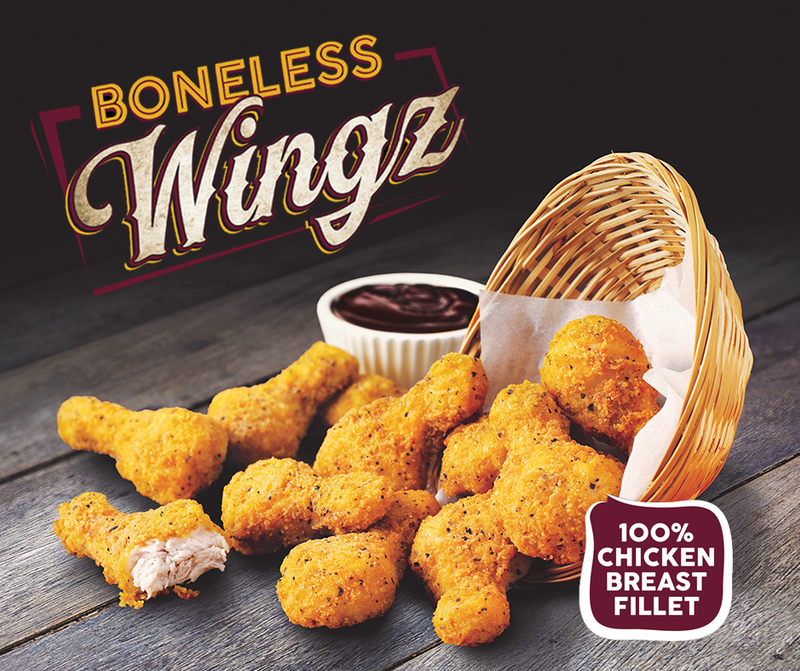 Our famous boneless wings are back and they are better than ever! These delicious, platter-perfect chicken sides are a firm family favourite made with 100% chicken breast fillet and a flavoursome southern fried coating. 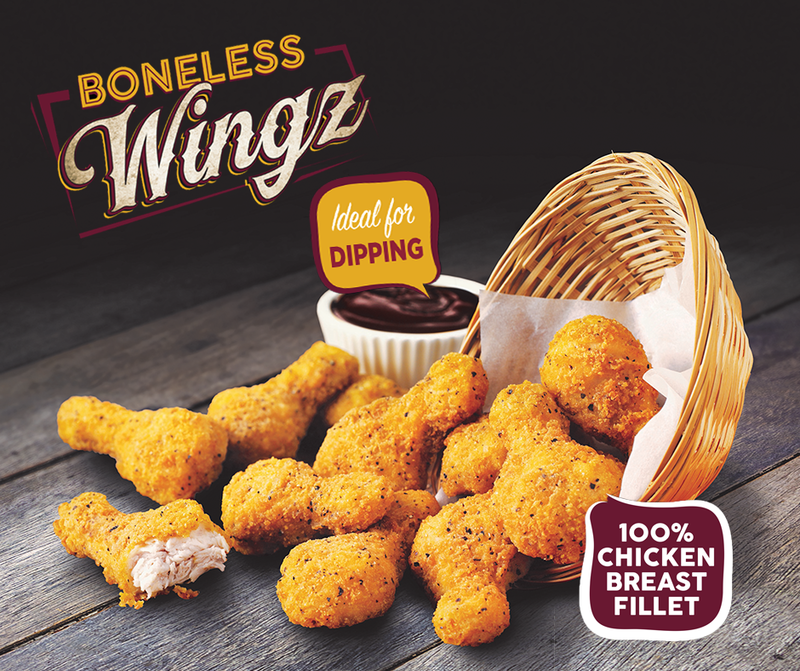 These lip-smacking southern fried boneless wings are perfect for kids meals, side options and meal deals and are sure to keep your customers coming back for more! Plus! This products comes with special edition promotional posters (get POS here) and social media assets (see below) to help you boost sales!